Fiat has just released its fastest production Abarth ever, and it is called the 695 Biposto. 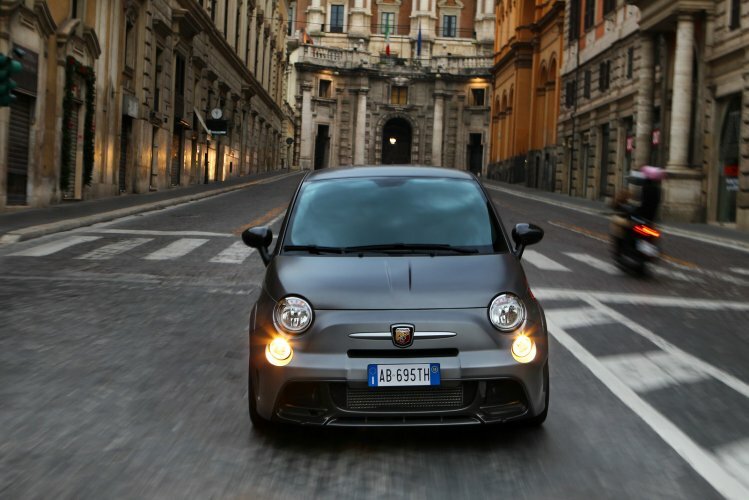 The Fiat Abarth 695 Biposto has been available for order since June of this year, and demand is far exceeding supply. The Fiat Abarth 695 Biposto debuted at the 2014 Geneva Motor Show, and it is powered by a 1.4-liter T-jet engine that produces 190 horsepower and 184 pound-feet of torque. 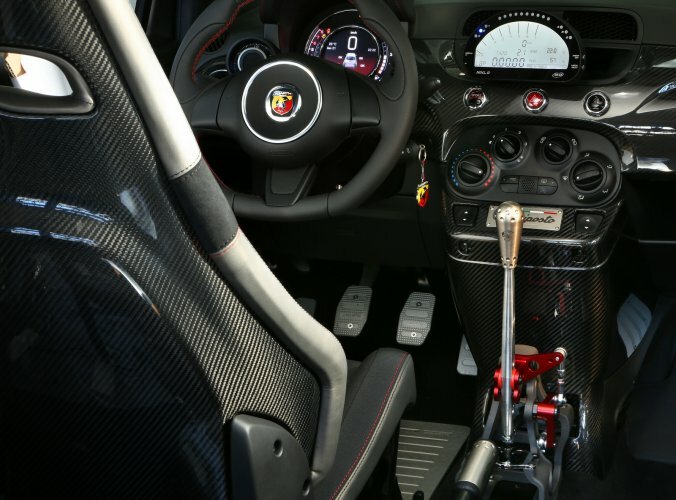 It is the most powerful engine ever installed in a street-legal Abarth. According to Fiat, it is a record for an engine in this category. At its lightest, the 695 Biposto weighs in at 2,198 points and has a power to weight ratio of 11.4 pounds per horsepower. Zero to sixty takes only 5.9 seconds, and top speed for this pipsqueak of a car is 143 mph. To achieve low weight, Fiat has forgone the rear seats, xenon headlights, fog lights, climate control, electric windows and the radio system. The front windows are fixed and are made of lightweight polycarbonate sliding panels, and the roll bar is made from titanium. This car is as barebones as you can get and is as track ready than ever. In addition, the 695 Biposto features an Akrapovic exhaust system, Extreme Shox adjustable shocks absorbers, MXL, digital data logger, four-point seat belts and Brembo braking system. Sadly, the Fiat Abarth 695 Biposto is not for sale in the U.S.